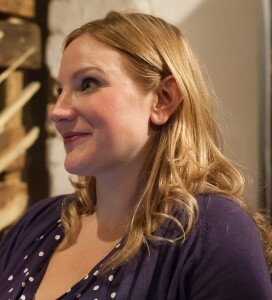 Eleanor’s work at LKMco draws together a broad range of expertise across education, the arts and business development. She specialises in organisational change, project management, research, evaluation and dissemination. She has worked with a wide range of organisations, including The Royal Society of Arts, Teach First, Whole Education, Arts Council England, Sound Training, and The Royal Society of Literature. Her research interests include special educational needs, young people’s aspirations and expectations, and careers and enterprise education. She was the lead author of Creative Writing in Schools: A literature review (Arts Council England: 2016), Joining the Dots – Have recent reforms worked for those with SEND (Driver Youth Trust: 2015), and Youth Work and Schools: An untapped opportunity for partnership? (London Youth: 2016). Other research has included reports for the Social Mobility Commission, Joseph Rowtree Foundation, CfBT and King’s College London. Prior to her work at LKMco, Eleanor was the Coordinator for literacy at the RSA Academy, Tipton and worked on the development of the Approaches to Learning strand of the International Baccalaureate Career related Certificate. She was also an Operations Manager for Zerodegrees micro-breweries, and General Manager of the international theatre company Zecora Ura. She holds a Masters with Distinction in Educational Leadership from Warwick University. Eleanor speaks widely at events, and is always happy to accept invitations to present our work to wider audiences. She also never knowingly turns down an opportunity to network so do get in touch if you’ve got something exciting planned!